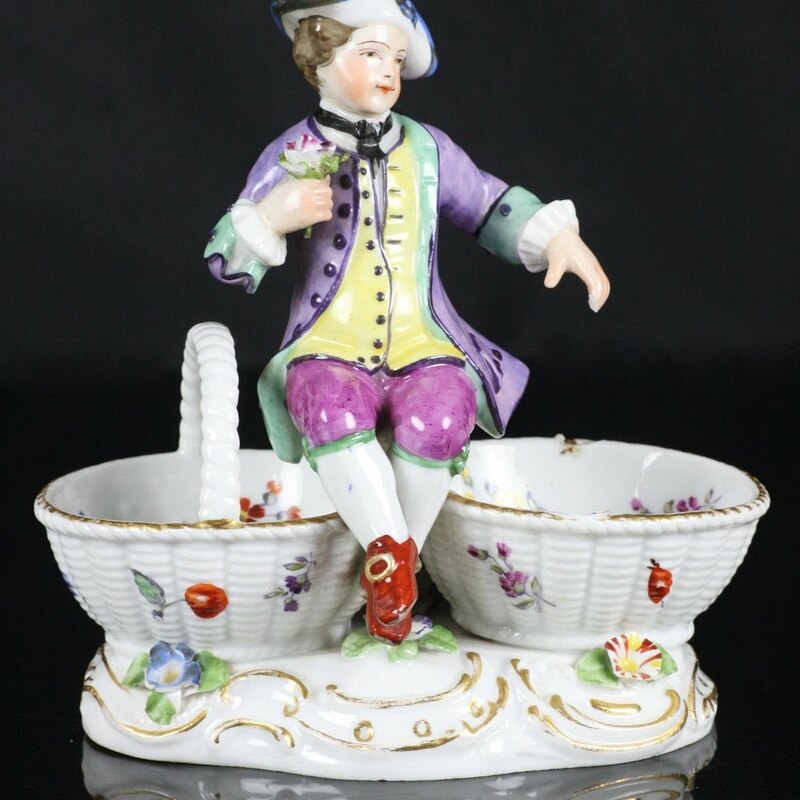 Age Believed latter 18th C.
We are pleased to offer this delightful antique German porcelain figural salt made by Meissen and believed to date from the latter 18th century. The salt is modeled as a central figure of a young boy in period dress sat between two baskets. 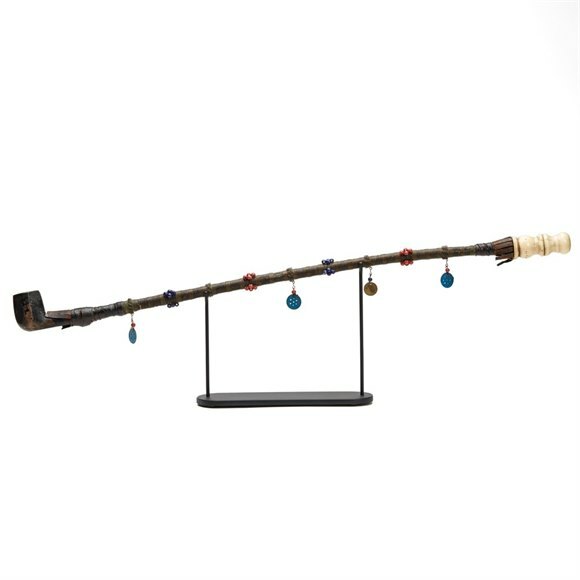 The salt is mounted on a scroll work base applied with flowers. The figure has been finely hand painted with floral sprigs painted in and around the baskets. The figural salt has a blue underglazed crossed sword mark to the base along with a dot and an incised reference number.